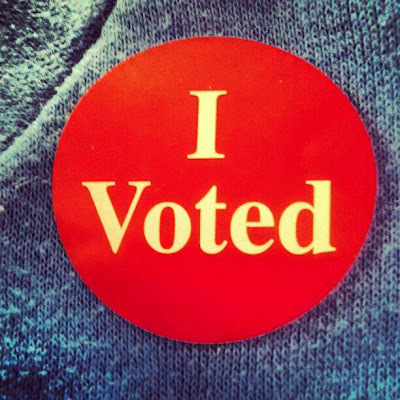 Did you vote today? If you haven't yet, I urge you and all eligible voters to exercise your right to vote! I felt pretty accomplished after I voted this morning. No matter what the outcome, I'm just glad to be part of the voting process. I hope you feel the same!